Meet Omari. 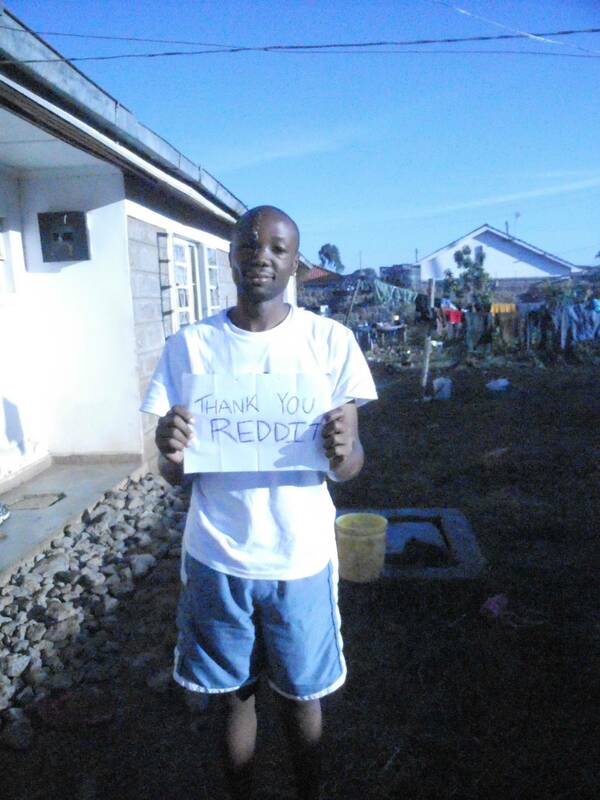 Reddit raised $50K for him and his orphanage in under 14 hours. Reddit is hands-down one of the most philanthropic communities on the Internet. Here's just one of the many stories that showcase how. As if you needed more proof that Reddit is one of the most amazing sites on the whole of the Internet, here, we meet a man by the name of Omari (yes, that's him on the right). Omari took a machete to the face while protecting an orphanage of 35 children in Kenya recently. As such, an individual involved with the Longonot Education Initiative jumped on Reddit to share Omari's story and ask for $2,000 in donations to complete the construction of a cement and barbed wire wall with which to keep thugs out and the children (and Omari) safe. At the time of this writing, that was 14 hours ago. In the short span of time that Omari's story has been circulating on Reddit, updates have been given by the Longonot Education Initiative representative which reflect donations given to the tune of $50,000 -- $10,000 of which, coming from Weebly, who hosts the Longonot Education Initiative's Web site and also upgraded them to Weebly Pro for 2 years. As incredible as this story may seem to those of you not familiar with Reddit, these things happen all the time. Earlier this month, a young girl by the name of Kathleen Edward lost her battle against Juvenile Huntington's Disease. However, just a short year ago, the then-7-year-old's story of being bullied because of her disease was shared with Reddit by the owner of a toy store in her town who wanted to raise money to give her a shopping spree. When all was said and done, Reddit donated a total of $19,500. Needless to say, Kathleen was given the royal treatment that everyone involved had wished for her. As you can see, Reddit is an incredibly giving and selfless community -- just one of the many reasons why I'm absolutely in love with Reddit! Amazing things like Omari and Kathleen's stories happen almost daily, so, what are you waiting for? Go visit Reddit and get familiar with one of the most philanthropic communities on the Web! Update: The total is now over $65,000 -- all in under 24 hours. Incredible.